Some companies have more products than needed in a category. They invest a lot of effort and money in developing, manufacturing, and distributing these extra products. The company’s retailers also pay for this excess, as every SKU (Stock Keeping Unit) requires work, real-estate, and logistics. However, the main damage of over-range is sales reduction. The customer’s purchasing process is more difficult and confusing when it’s hard to see the differences between different product models. Therefore, customers are more likely to give up before reaching the cashier. Other companies might have fewer products than needed in a category. Their variety is too narrow – they don’t have enough options to offer to their customers. Such companies miss selling opportunities and lose customers who prefer to buy from a wider collection, where they have a higher chance to find what they need. It might sound inconsistent, but many companies suffer from both over- and under-product range simultaneously. They have overlapping products along with missing products in a category. In other words, they have a “pile” of products with random features without any system to label them. From the company’s point of view, it’s a matrix for defining and organizing the products array. From the customer’s point of view, it’s a funnel that helps and guides them in the choosing and buying process. Let’s take a closer look at each of the parameters. Category is the first and main product classification. Categories should be organized according to the “natural” customer point of view; this should be done in a way that results in customers not having any questions about the right category for them – it should be straightforward and clear. For example, a TV manufacturer’s categories could be: Living Room TVs, Bedroom TVs, Presentation TVs, 3D TVs, etc. When a customer walks into the store, they know in advance which category is right for them. Types are the horizontal segmentation of a category. The segmentation should be based on the product’s main parameter in the customers’ eyes (in some cases, it can be a bundle of two to three parameters). For example, the types within the Bedroom TV category would be: 22”, 26”, and 32”. Why the size parameter? 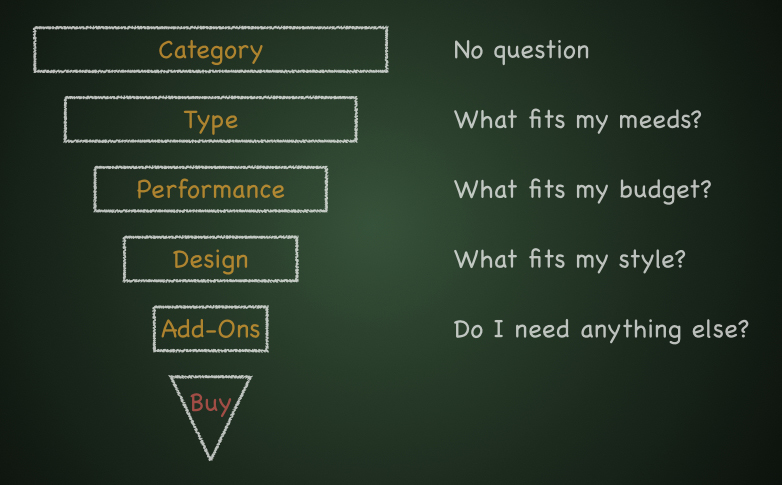 Because this is the main and first question a customer deals with in the purchasing process. A category should have between three to six types, no more. Six types should cover 80-90% of all customer needs. It is not worth adding more products to cover the remaining 10-20% of customers. If six product types do not cover the category, a category split is needed (e.g. small bedrooms TVs and big bedrooms TVs). Performances are the vertical segmentation of a category. The segmentation should be based on the product’s main performance parameter(s). For example, the performance of the bedroom TV category could be: Model L, which includes an LD screen + 2 speakers, and Model H, which includes an HD screen + 4 speakers + smartphone integration. Designs are the visual or finishing alternative of a product. In most cases, colors cover the main design parameters. In some cases, it could be materials or other finishing parameters. It is always nice to offer customers different design alternatives – but you have to be very careful with this as it multiplies the SKUs and brings along all. A category should have between one to four designs. *This does not apply to fashion or decoration businesses, which are all about design. Add-ons are literally add-ons – stand alone products or components that can be physically added to a product. Add-ons upgrade the product and enrich the alternatives, without the pain involved in multiplying the SKUs. Examples for a TV’s add-on: External speakers, enhanced remote-control, bigger hard-drive (for smart TV), etc. Whether your business is dealing with TVs, coffee-machines or camping-tents, planning and developing the company’s products based on the Product Matrix principles can save the company a huge amount of expenses and a lot of work, as well as increase sales by simplifying the customers buying process. Yes, it requires some high-level planning and persistence – to hold back the natural motivation of adding this great feature and that brilliant idea to any new product. The results, however, can be overwhelming. 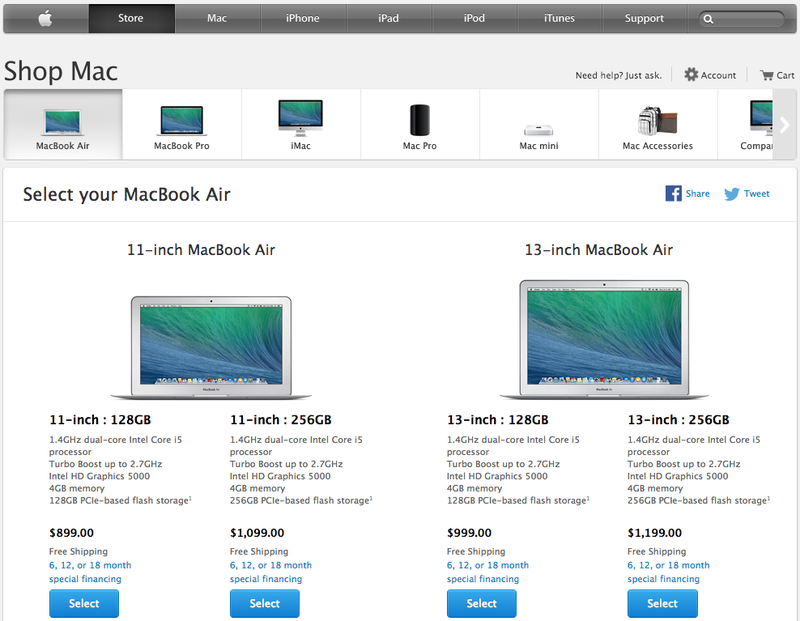 Apple is a very good example for cleverly using a Product Matrix. The range of Apple laptops includes: two categories (Air & Pro), two types (screen size), three performance (computer power), and one design. 12 laptop models in total + add-ons options. 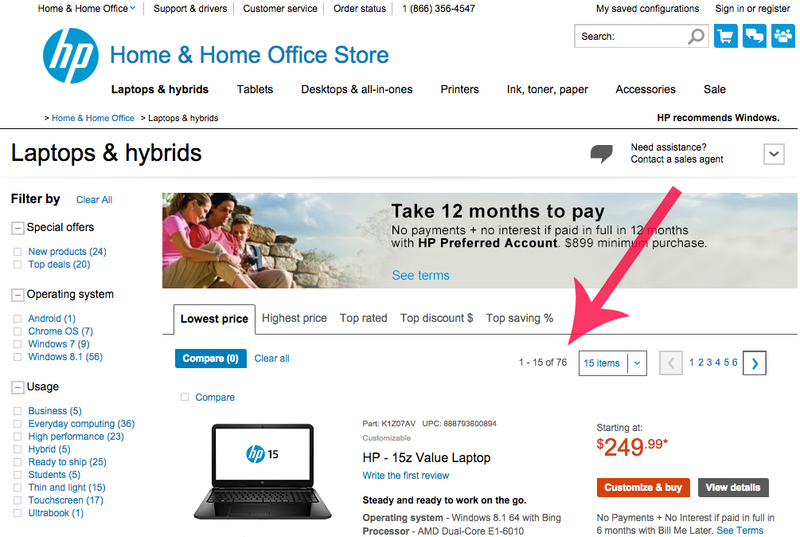 For reference, the range of HP laptops includes 76 models (including hybrids but not including designs). Have you ever heard someone complaining that they couldn’t find the right MacBook because Apple model’s variety was too narrow? Probably not. On the other hand, try to imagine the amount of extra costs HP pays for R&D, production, logistics, storage, distribution, and customer confusion… That demonstrates the difference between using and not using a Product Matrix. This entry was posted in Product Design Management and tagged Product Design, Product Design Management, Product Design Strategy, R&D by Yariv Sade. Bookmark the permalink. Thanks for the comment. You are right, the Product Matrix is more consumer product oriented method. Yet, it can work with bigger and more complicated products and systems. The trick is to divide the product into sub-products and to run the method for each sub-product separately, as well as for the whole product. For instance, the school bus can be divided into – driver seat, driver dashboard, kids seat, etc. Another aspect that should be considered in such products is the different types of stakeholders – decision-maker, buyer, different users etc., which, of course, add another dimension to the matrix. After all, big systems are also products, and users are users… Try asking a school bus driver or a kid what are the most important elements of the bus, and I believe they’ll be able to mentions up to 5 points, no more.